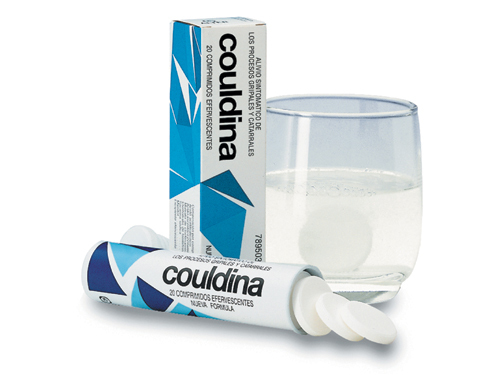 Following with the series of posts about those things that a Spanish person misses here in Holland, there is a product that is always mentioned by all Spaniards at one given time: "Couldina". This medicine is mainly composed of aspirin and a couple of more ingredients which are really good for congestion. For me, it is the best thing to fight a cold. It does not exist here in the Netherlands and I know a bunch of Spaniards who buy it whenever they go to Spain and bring it here for those future under-the-weather days. Are you also living away from your home country? Then, please tell me about those things you are "forced to import" from your country because you simply cannot live without them! Siguiendo con la serie de posts sobre aquéllas cosas que los españoles echamos de menos en Holanda, hay un producto que siempre es mencionado por los españoles más tarde o más temprano: la couldina. Esta medicina está principalmente compuesta por aspirina y por un par de ingredientes más que son buenísimos para la congestión. Para mí es lo mejor para combatir un resfriado. Como no existe aquí en Holanda, conozco a un buen grupo de españoles que aprovechan sus viajes a España para comprar Couldina y así tenerla para esos futuros días en que estamos pachuchos. ¿Tú también vives fuera de tu país de orígen? Díme entonces qué es lo que te ves "forzado a importar" de tu país porque simplemente ¡no puedes vivir sin ello! I got a really bad cold in Spain once and couldn't get the nose spray that we use here in Holland. So I had the reverse problem! Now that I live in France I have some trouble to find Spanish wine in the shops. Specially some types like sherry. However, when I was living in Holland, I could find Spanish wine everywhere and at reasonable prices. @J van Hertum, and since you are in Spain right now I hope you put that nose spray in your bagage :-) But maybe we have that spray in Spain. The only thing is that you don't find it at a supermarket like here, you have to go to a "farmacia" or "parafarmacia". @Barba Larga, what are you doing drinking so much wine? :-D So you miss the Gall&Gall, huh?